We have been very impressed by the wide range of stitched techniques that have been used to create the many wonderful houses that we have received for our participatory AccessArt Village Project. They range from beautifully embroidered surfaces to charming line drawings in stitch. The AccessArt Village Project is now closed but if you would like to make a sewn drawing of your home or of a favourite building, this stitch activity could be for you. The project can be completed at one sitting or you can finish it over several small sessions. 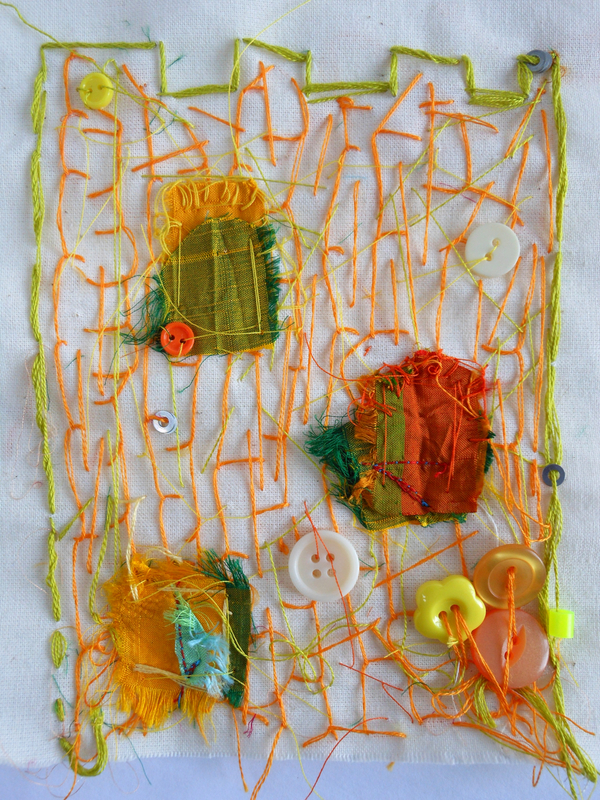 One way to approach embroidery/stitching is to think about it in terms of collage and mark making: hanks of wool and shapes cut from fabric can act as an equivalent to paint or coloured paper; stitches are very like the lines and marks you can create with felt tips, markers or coloured pencils.